A new proposal would see state-employed rabbis banned from taking payment for conducting marriages in their jurisdiction. The Ministerial Committee for Legislation will discuss a proposal Sunday that would bar rabbis employed by the state from taking money for performing marriage ceremonies in the areas in which they serve as rabbis. The proposal, put forth by MKs Shuli Moalem Refaeli and Motti Yogev of the Bayit Yehudi (Jewish Home) faction, would forbid rabbis from charging money for conducting weddings for residents of the region by which they are employed. 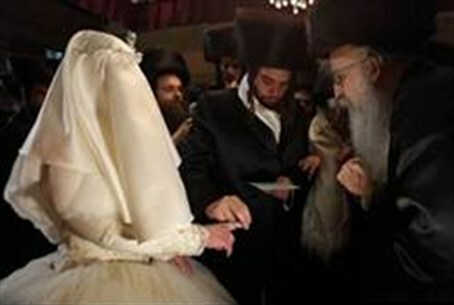 Currently, rabbis who are employed by a local Religious Council (Moatza Datit) are not allowed to charge for conducting wedding ceremonies between residents of the specific community that they serve, but may charge for marrying two residents of the greater area served by the council by which they are employed. “He is getting a salary for, among other things, providing this exact service,” they argued. The Jewish Home party has stressed the need for reform in the Rabbinate in its elections campaign and subsequent Knesset activity.